The History of the British Isles is a rich tapestry of social, political, economic and military events. From the Islands early days and neolithic settlers onward the history of Britain has been dominated by both it’s isolation from and proximity to mainland Europe. Once a mystical land over the seas to a now vibrant economy deep at the heart of world affairs. British History is intertwined with that of many other societies and cultures. From the Romans, Saxons, Viking and Normans through to more recent historical links formed through trade, empire and political unions. Prior to the arrival of the Romans the British Isles was a largely rural, agricultural society. Druids dominated religious beliefs in many parts of the islands. Life was based around farming or fishing for most people. 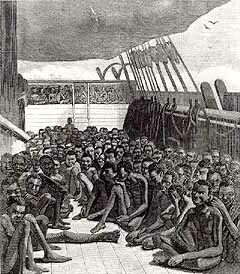 Trade with the continent did take place, particularly from large tribes in the South. We have examples of pre-Roman societies in several places. Stonehenge is a world renowned site from the neolithic era. In Scotland the remains at Skara Brae show us much about Neolithic villages. Military structures such as Maiden Castle show us that pre-Roman does not mean technologically backwards. The Roman occupation of much of the British Isles began to shape the Britain we know today. The towns they built, the structures they put in place, the roads that linked parts of the country, even the lines of demarcation and fixed borders such as Hadrian’s Wall are all examples of things that, whilst being modified a little, have had a lasting impact. The Roman Era saw much technological advancement in the islands. It also saw a Romanisation of the isles and subjugation. This led to revolts, most famously by the Iceni Tribe led by Boudicca. Following the departure of the Romans there was a period often referred to as the Dark Ages. This period is in fact one of great importance. It saw migration in the form of the Saxons and the invasion of the isles on countless occasions by the Vikings. The struggle between Saxon England and the Vikings saw the creation of Danelaw and the emergence of distinct cultures. 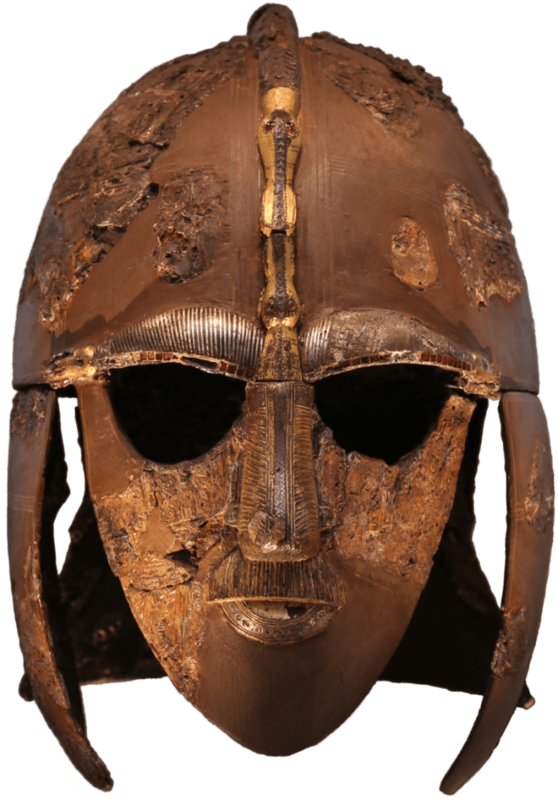 From this era we have evidence such as the famous Anglo-Saxon site at Sutton Hoo. Here archaeologists discovered the now famous Saxon helmet, shown below. The clashes between Viking invaders and the Saxons continued for many years. Though though English defeated Eric Bloodaxe, last Viking king of York, in 954, raids continued until the 13th Century: Iona was raided in 1209/10. With York taken and the Viking armies defeated in Battle, England was unified. Athelstan, grandson of Alfred the Great, was the first king of this unified England. It was a short lived Saxon rule though. 1066 changed that. 1066 is perhaps the most famous year in English History. It saw the failed invasion of Harold Hardrada. Further incursions by rebels were also defeated. Then, the landing at Pevensey of the Normans under Duke William. The Normans faced King Harold’s Saxon army outside of Hastings. A hard battle was fought. The Saxon King of England was killed and his army beaten. The Normans soon consolidated this success. On Christmas Day, 1066, William of Normandy was crowned King of England. The following centuries saw the development of a feudal system that administered England. The Normans built huge Castles and Cathedrals and imposed a new legal system. 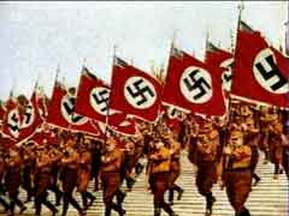 They also fought among themselves while at the same time building up a significant empire in France. The Medieval Era saw Crusades, uprisings, nobles asserting their power against kings and the power and significance of the church rising, and causing some issues. Relations between the English, Scottish and Welsh were at times tense. 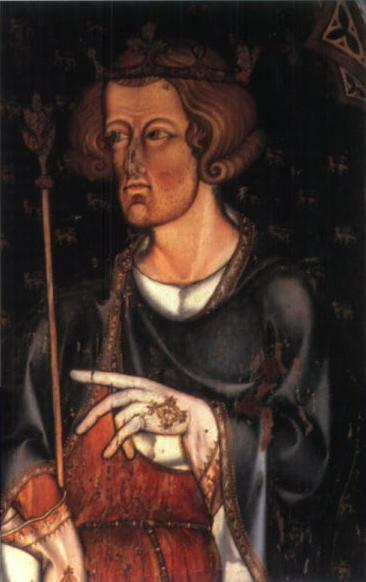 The English King, Edward I, went to war in both Scotland and Wales. He is remembered as Hammer of the Scots and for his Castle building in Wales. By the end of Edward I’s reign in 1307 the English had dominance if not total control over both of their neighbours. Edward’s death was untimely for the English. Robert the Bruce had just seized the Scottish throne. He took up arms against the English, now led by Edward II. Bruce led his men to a much celebrated victory at Bannockburn. It pushed the English out of Scotland and led to agreements over Scottish independence. War was a common feature of Medieval England. Often engaged in conflict with Wales and Scotland it also saw internal disputes turn to fighting. There was also a prolonged war with France, known as the Hundred Years War. As these wars reached their end a conflict broke out that would change the course of English, then British history. The War of the Roses saw the two most powerful houses in England battle for the crown. It led to the probable murder of two Princes. It culminated in the Battle of Bosworth Field. Richard III, of the House of York, was killed in battle. Henry Tudor took the crown and the Tudor dynasty began. The Tudors are highly popular among lovers of British history. Henry VIII is known as being jovial, for his court, for his elaborate progress to France. He is also remembered as the King who had six wives, who executed two of his Queens, as the man who split the Church of England from the Church in Rome. Henry dissolved the monasteries and in doing so changed society. His children each ruled England. Edward had a short reign which saw the first truly protestant monarch of England. Mary instigated purges of Protestants and married the influential King of Spain. Elizabeth faced a religious crisis, uncertainty over the security of her crown and financial issues. Elizabeth’s long reign is known as a Golden Age. She introduced a Religious Settlement; introduced a Poor Law and famously defeated the Spanish Armada. The period is one of the most turbulent in British History. Under the Stuarts the kingdoms of England, Scotland and Wales became closer as they had the one monarch. It was a turbulent period politically. James I survived the Gunpowder Plot. His son, Charles I, was largely to blame for the outbreak of the British Civil Wars. He paid for this with his life, executed for treason against his own country. A decade of being a republic under a Rump parliament then Oliver Cromwell was ended with the Restoration. The ‘Merry Monarch’, Charles II came to the throne. The Great Plague and Fire of London dampened the spirits. The 18th Century saw the kingdoms becoming closer politically. In 1707 an Act of Union was signed between England and Scotland: England and Wales already had such an act. This marked a full union and the start of British History in terms of unified policies.Empire developed and with it trade. Cities flourished and grew steadily. Industry started to boom. The invention of the steam engine and new machines for farming and the wool trade saw the way that the country went to work revolutionised. The agricultural and industrial revolutions created an urban economy and fuelled migration. The Twentieth Century saw a Liberal Government elected based on promises of Liberal Reforms. Huge changes to the way that the state helped those in need were introduced, replacing the now outdated Poor Law system. These reforms were later developed with the NHS starting in 1948 and the Welfare State being formed. Modern British history is though dominated by the two world wars. 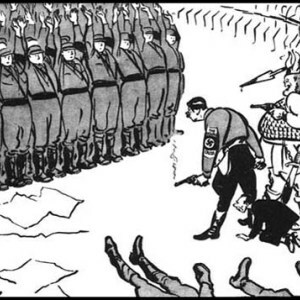 The Great War and Second World War had a huge impact. The loss of life was a heavy price to pay. The workplace changed as well. War altered the role of women and opened up new opportunities. The two wars also altered Britain’s relationship with many parts of the Empire.